From what I gather this tour is a spur of the moment kind of thing, seeing how it was announced out of the blue. 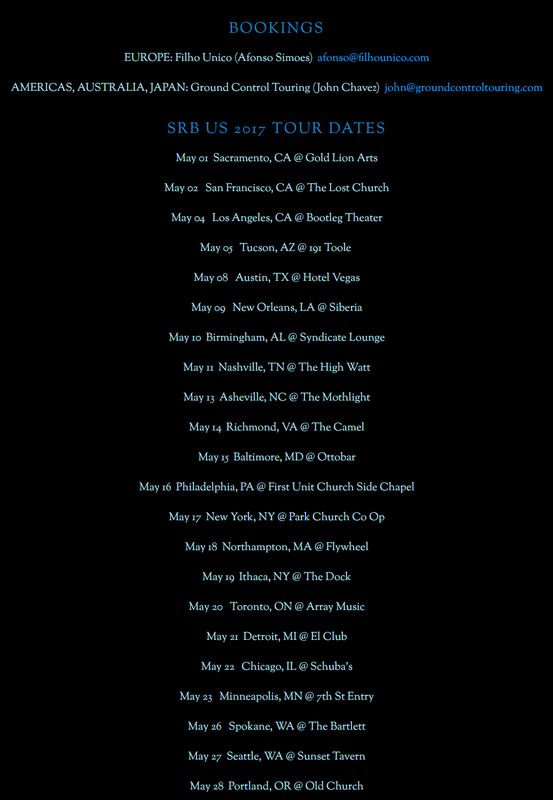 The image that I’m seeing circulating Facebook shows 21 dates on the tour, throughout the US. Here is a copy of the image that shows all the important info, dates, location and where to buy tickets. If you are close to any of the locations from the tour announcement, then I wholeheartedly recommend that you go to one of the gigs and see Sir Bishop playing live. You’ll love it I’m sure. Just a man and his guitar, on stage, playing music that’s captivating and unexpected. It’s difficult to find that in this day and age of digital music. I guess I’m just your typical old man, who like things the way they used to be. Never thought I’ll end up like this. I’ll be going to the May 27th event at Sunset Tavern. Hope to see you there. This entry was posted in News and tagged sir richard bishop concert, sir richard bishop live, sir richard bishop news, sir richard bishop tour. Bookmark the permalink.